WEST PALM BEACH, Fla. (Oct. 11, 2017) – IRG Sports + Entertainment (IRGSE), a leading marketer and promoter of sports and live entertainment experiences, today reaffirmed its commitment to IHRA and grassroots drag racing. IRGSE purchased the International Hot Rod Association (IHRA) in 2015 with the primary plan to make the sanctioning body a successful motorsports organization that consistently promotes grassroots drag racing and provides exceptional events for it racers and fans. Two years later, the original focus remains, and IRGSE maintains its long-term commitment to the IHRA as well as its membership, racing venues, and corporate partners. 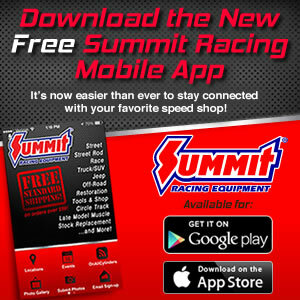 The IHRA, founded in 1970, will continue to focus on core Sportsman racing, including the popular Summit Racing Equipment SuperSeries and the recently announced Summit Sportsman Spectacular, its more than 13,000 members and nearly 100 venues that host IHRA-sanctioned events in an ongoing effort to further the growth of grassroots drag racing. As it has been the case since the sanctioning body was founded nearly five decades ago, the IHRA remains dedicated to providing the best possible experience for its racers. "Moving forward, we will continue to be a Sportsman drag racing focused organization and build on the success of the Summit SuperSeries," IRGSE CEO Lou Partenza said. "We are proactively working towards increasing membership benefits, developing new Sportsman racing platforms and working with our track partners to create value for all our stakeholders, including racers and corporate partners." "The heightened focus on Sportsman gives us the necessary resources to improve the IHRA from the ground up to make sure that the core of the sport, our member tracks and weekly racers, get the attention they deserve. IRGSE and our partners at TPG Specialty Lending continue to be committed to that effort." IRG Sports + Entertainment™ (IRGSE), a TPG Specialty Lending Inc. portfolio company, is a leading marketer and promoter of sports and live entertainment experiences in the United States, Canada, Bahamas, New Zealand and Australia. The company owns and operates four motorsports facilities: Palm Beach International Raceway™ (PBIR), Memphis International Raceway™ (MIR), Maryland International Raceway™ (MDIR) and Cordova International Raceway™ (CIR); as well as the International Hot Rod Association™ (IHRA), International Drag Bike League™ (IDBL) andPalm Beach Driving Club™ (PBDC). IRGSE properties promote more than 1,150 motorsports, live entertainment and corporate events annually at its venues and within its series. For more information, please visit www.irgse.com follow @IRGSports on Twitter and LinkedIn. Headquartered in West Palm Beach, Florida, the International Hot Rod Association™ (IHRA) is one of the world's largest motorsports sanctioning bodies. The IHRA promotes Sportsman drag racing for drivers of all levels. The IHRA sanctions nearly 100 motorsport facilities in the United States, Canada, Australia, New Zealand and the Bahamas and welcomes 80,000 racers annually to their IHRA-sanctioned facilities. The IHRA oversees multiple Sportsman racing programs including the Summit Racing Equipment SuperSeries and the Sportsman Spectacular. For more information, visit www.IHRA.com, or connect on Facebook.com/IHRAMotorsports, Twitter @IHRA or Instagram.